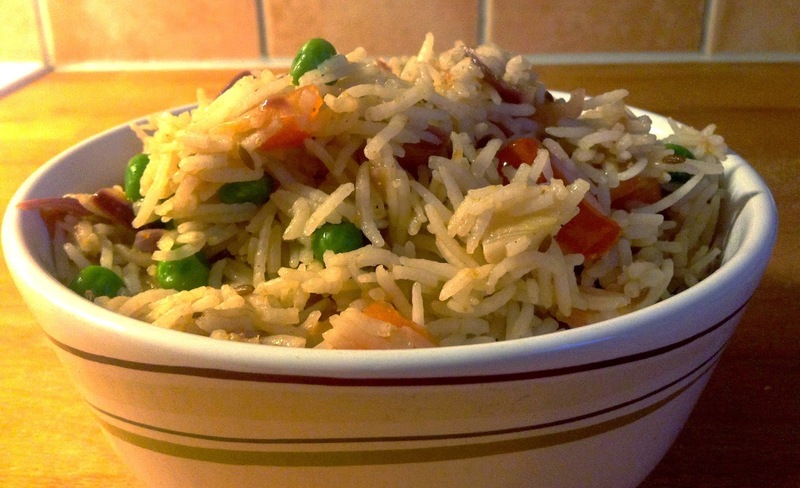 Tawa Pulao, a heavenly tasting and easily made, with very simple ingredients, this has become my new favorite after Indian Fried Rice, which I am making every time I am short of time, or simply bored with everyday stir fry vegetables. 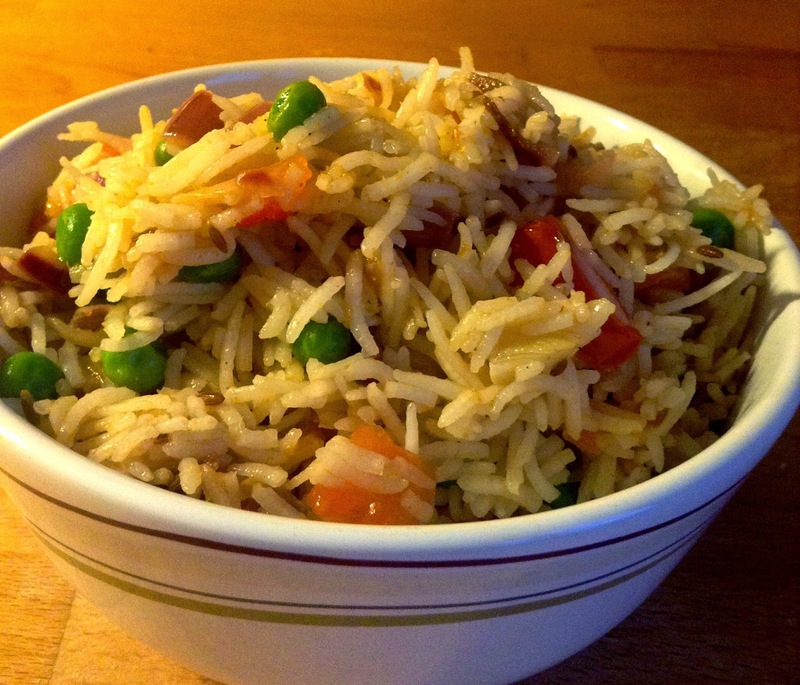 What I loved was a striking difference in taste compared to a lot of rice dishes I have tasted, not too heavy on the platter and gets ready in less than 30 minutes.. What else could you ask for ?? Pao Bhaji Masala: 1 tsp. Tawa fry masala: 1 tsp. Heat oil in a pan and temper cumin seeds. Add the onions and sauté for a while till they become transparent. Add the garlic and fry for another minute. 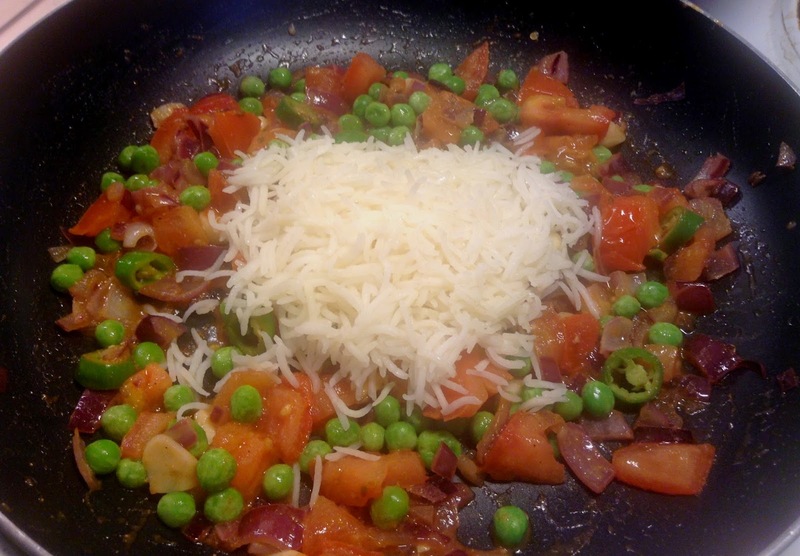 Add tomato, green chilli and peas (I used frozen peas, but if using fresh peas, half-boil them before adding to the pan). Mix well and add pao bhaji masala, tawa fry masala, salt and coriander powder. Mix well and let cook for about 2 minutes; don't let the tomatoes become soft. 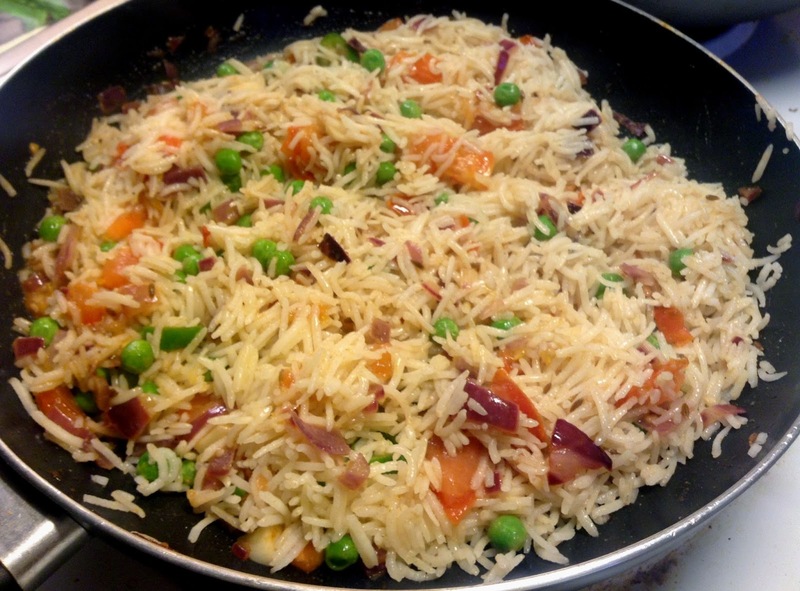 Add the rice and mix well with the masala. Add mango powder, mix well and let cook for 1-2 minutes. Turn off the heat and serve hot with Garlic Raita or Mint onion raita.